Thomas & Betts Color-Keyed® 2-Way Splice connector is suitable for connecting size 2/0-AWG and 111-KCMIL (275/24 Flex) conductors. 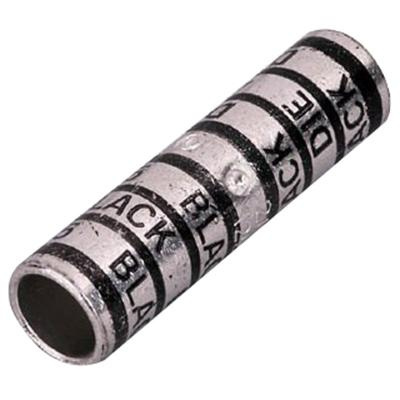 Splice connector color-coded in black, aids for easy identification. It measures 0.59-Inch Dia x 2.13-Inch. Splice connector has voltage rating of 600-Volts - 35-Kilo-Volts. Splice connector is UL listed and CSA certified.